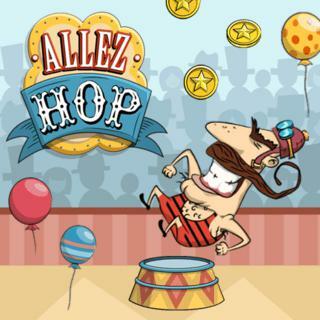 Help the brave circus acrobat reach new heights in this addictive pinball-style skill game. Use cannons and ropes to jump higher and higher and be careful to avoid obstacles and the bears on a bicycle on your way up. Collect coins to earn additional points and try to go as far as possible. Can you earn a high score?